In what could be an important intervention in the debates over medical marijuana and pot legalization, the first study to examine the relationship between medical marijuana and traffic deaths found they declined in medical marijuana states. 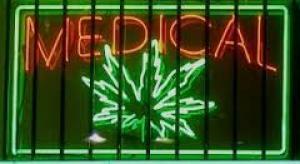 The study, Medical Marijuana Laws, Traffic Fatalities, and Alcohol Consumption , could be an important intervention in ongoing debates over medical marijuana and marijuana legalization, reformers said. Opponents of loosened marijuana laws use concerns over drugged driving and possible traffic fatalities as one of their most effective arguments against liberalization, and this study could lessen the effectiveness of that argument. "Our research suggests that the legalization of medical marijuana reduces traffic fatalities through reducing alcohol consumption by young adults," said Daniel Rees, professor of economics at the University of Colorado Denver, who coauthored the study with D. Mark Anderson, assistant professor of economics at Montana State University. The economists analyzed traffic fatalities nationwide, including 13 states that legalized medical marijuana between 1990 and 2009. In those states, they found evidence that alcohol consumption by 20-29-year-olds went down, resulting in fewer deaths on the road. The researchers collected data from a variety of sources including the National Survey on Drug Use and Health, the Behavioral Risk Factor Surveillance System, and the Fatality Analysis Reporting System. "We were astounded by how little is known about the effects of legalizing medical marijuana," Rees said. "We looked into traffic fatalities because there is good data, and the data allow us to test whether alcohol was a factor." Anderson noted that traffic deaths are significant from a policy standpoint. "Traffic fatalities are an important outcome from a policy perspective because they represent the leading cause of death among Americans ages five to 34," he said. According to a recent report by the Centers for Disease Control , alcohol-impaired driving accounted for fully one-third of the 10,839 traffic fatalities in 2009. If the 9% reduction in fatalities reported by the researchers in medical marijuana states were applied nationwide, easy availability of marijuana could result in about 1,000 fewer traffic deaths a year. Anderson and Rees noted that simulator studies conducted by other researchers showed that drivers under the influence of marijuana tend to avoid risks, while those under the influence of alcohol underestimate their degree of impairment, drive faster, and take more risks. But they cautioned that traffic deaths may have declined not because driving while high is safer than driving while drunk, but because medical marijuana is typically used in private, while alcohol is often consumed at bars and restaurants. "I think this is a very timely study given all the medical marijuana laws being passed or under consideration," Anderson said. "These policies have not been research-based thus far and our research shows some of the social effects of these laws. Our results suggest a direct link between marijuana and alcohol consumption." "Although we make no policy recommendations, it certainly appears as though medical marijuana laws are making our highways safer," Rees said. Marijuana reform advocates who have studiously compared alcohol and marijuana liked what they heard. "Every objective study on marijuana has concluded that it is far safer than alcohol for the user and society," said Mason Tvert, executive director of Safer Alternative For Enjoyable Recreation  (SAFER) and coauthor of the book, Marijuana is Safer: So why are we driving people to drink? "It should come as little surprise that when we allow adults to make the safer choice to use marijuana it results in less drinking and fewer alcohol-related problems." Tvert coordinated the successful ballot initiatives in Denver that made it the first city in the nation to remove all penalties for adult possession (2005), and designated possession as its lowest law enforcement priority (2007). He is currently one of two formal proponents of a 2012 statewide initiative campaign to make marijuana legal in Colorado and regulate it like alcohol. "This is far from conclusive, but the study definitely shows a clear correlation between medical marijuana laws and decreased traffic fatalities," said Morgan Fox, communications manager for the Marijuana Policy Project . "The important thing is that is concurrent with a decrease in alcohol consumption." "When these laws get passed, traffic fatalities go down, and that's important because fear of increased traffic fatalities is one of the biggest arrows in the quiver of foes," Fox noted. "This is going to make it easier for us to win that argument." The argument could be applied not only to medical marijuana, but also to marijuana legalization in general, Fox said. "You certainly could make the argument that allowing it for recreational use instead of just medical would decrease the amount of alcohol consumed and reduce traffic fatalities," he said. "If allowing the legal use of marijuana for medical purposes reduces alcohol consumption and traffic deaths, making it legal for personal use could reduce it dramatically," Tvert agreed. "It's time for our government to stop driving people to drink -- and drink and drive -- and start allowing them to make the rational, safer choice to use marijuana, if that is what they prefer."